Updated article: I’ve added to this article several times over the years. 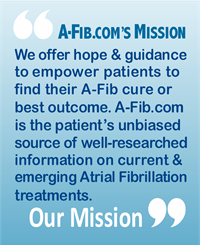 A-Fib.com patients continue to send me first-hand reports of alternative remedies that have given them some relief from their Atrial Fibrillation symptoms. 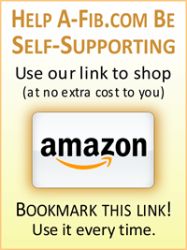 They may work for you too. There’s also a long list of anecdotal suggestions. 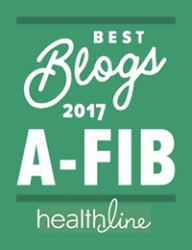 To be clear, these anecdotal tips may provide temporary relief from A-Fib attacks or they may not work at all for your A-Fib. So, try them at your discretion. I hope one or more of these patient suggestions will give you some relief, too. 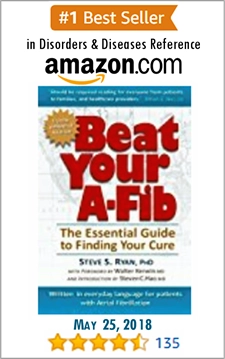 Go to: Alternative Remedies and Patients Tips for A-Fib Symptoms. 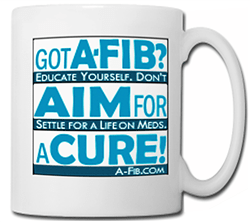 We invite you to pass on advice to help others with A-Fib. 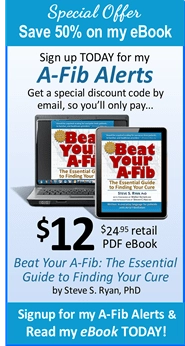 Has something worked to lessen your A-Fib symptoms, or reduce your frequency or duration of your episodes? Why not share it with others? Just take a few minutes and send me an email about it. Short or long, your tip can help others.